This track begins at the Tarawera outlet which is about 1.5 hours drive from Rotorua. The easy walking track takes you exploring through native bush while following along the rivers edge. The river is crystal clear, with pohutukawa and rata trees surrounding the track making it the picture-perfect landscape. 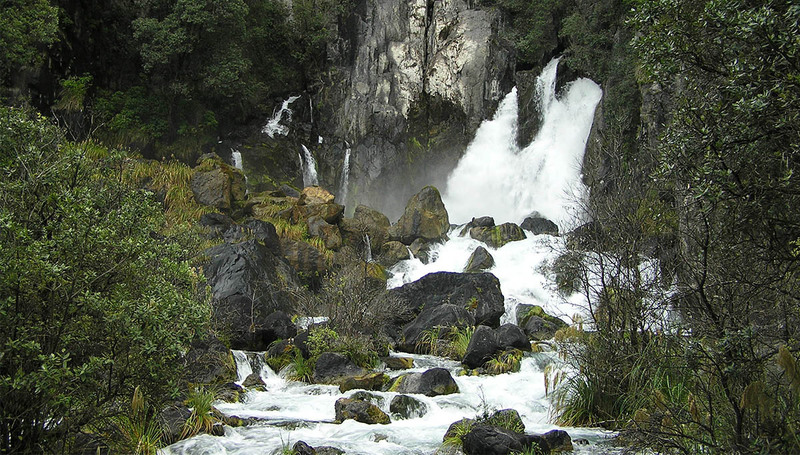 At the Tarawera Falls water gushes out of the 65m rock cliff face, hence why it is the most spectacular waterfall in the Rotorua region. How to get there : Collect an access permit from the Kawerau iSite to access the forest road. Check out the directions from Rotorua iSite to the Tarawera outlet here. Mount Ngongotaha is a volcanic dome that looks out over Rotorua city - 757m above sea level. Native forest surrounds the track that is rooty and at times can be very steep. It is home to one of the largest rata trees in New Zealand. Read the information boards along the way and learn about the native forest and the conservation work that has been done on Mount Ngongotaha. How to get there : The track to the summit is well sign posted and starts from Violet Bonnington Reserve. The reserve is located at the Rotorua end of Paradise Valley Road. Here is how you can find your way to the start of the track from the Rotorua iSite. 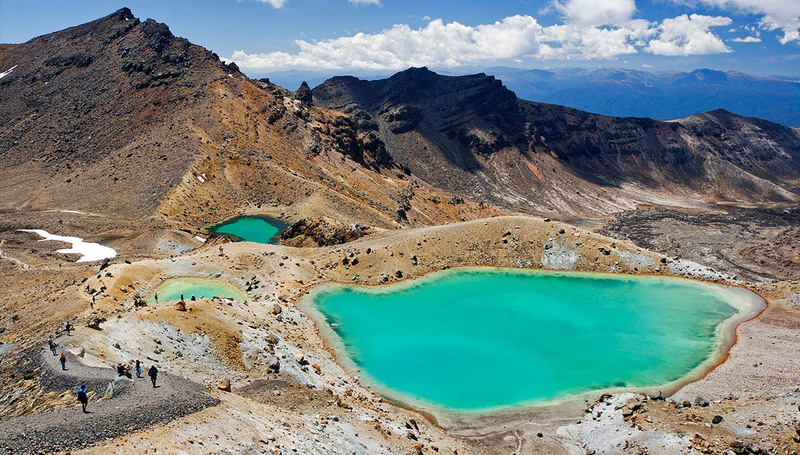 The Tongariro crossing is an iconic walk and is known as one of New Zealand's greatest day walks. Thousands of people walk the crossing every year to capture the stunning landscape that is a feature on the famous Lord of the Rings movies. The emerald lakes, volcanic peaks and the 360 degree views that look over to Mt Ngarohehe are spectacular - totally worth the 6-7 hour hike. Prepare for all weather conditions because the weather can change very quickly. How to get there: It is a 2 hour drive to the start of the crossing. Start driving early so you can return in daylight at a reasonable time. Here are the directions beginning from the Rotorua iSite. Photo: The Emerald Lakes at Tongariro Alpine Crossing. Wondering where to go in the Redwoods? Well it's very popular for its walking tracks. The Whakarewarewa circuit trail is one of our favourites and it follows forestry roads and exciting tracks. This 8 hour trail passes by the Blue and Green Lakes as well as some other fantastic spots where you can experience beautiful views over Rotorua and it's surroundings. The track has all sorts of different terrain along the way so it makes for a very exciting walk. How to get there: Here are the directions from the Rotorua iSite to the beginning of the Whakarewarewa circuit. While at the Redwood Forest head into the Information Center and collect a map of the track. Rainbow Mountain summit track has amazing 360 degree views out over the Rotorua region. Either at the beginning or end of the walk make a turn onto the Crater Lake track where you will find two amazing, emerald coloured lakes which are definitely worth the extra 10 minute walk. While at the summit take in the views of Mt Tarawera, Lake Tarawera and Lake Rotomahana. On a clear day you might even get a glimpse of the Tongariro National Park volcanic peaks in the distance. 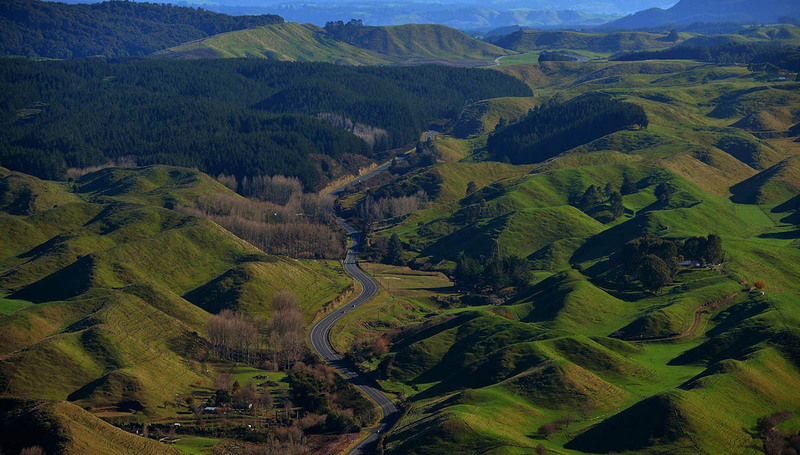 How to get there: Rainbow Mountain is 26km south-east of Rotorua on the Rotorua-Taupo highway. The car park is on the left hand side of the road just after the SH38 turnoff towards Murupara. Here are the directions from Rotorua's iSite to the Rainbow Mountain Summit Track. Photo: Enjoying the view one of our favourite Rotorua walks - Rainbow Mountain Summit.